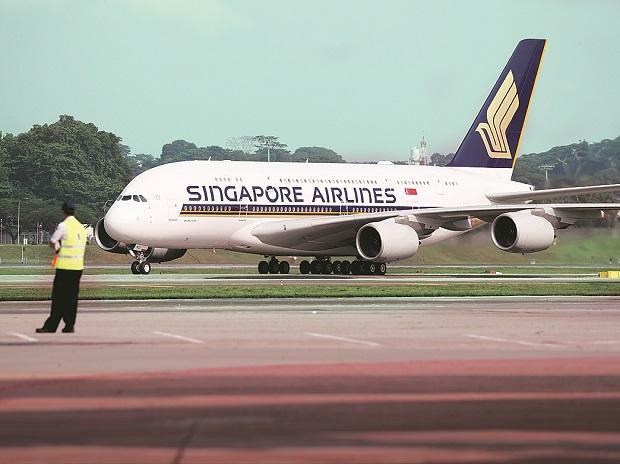 Singapore Airlines announced on Monday that it will use its A350 medium-haul aircraft on the Bengaluru-Singapore route for its night flights from May 18. It will be the first airline to start A350 services from the Bengaluru International Airport. The airline said flight number SQ504, which departs from Singapore at 10.20 pm (local time) to Karanataka's capital on Friday, Saturday and Sunday, will be using A350 aircraft. It added that its flight number SQ505, which departs from Bengaluru at 1.20 am (local time) to Singapore on Saturday, Sunday and Monday, will be using the aircraft. Other flights of the airline on the Bengaluru-Singapore route would continue to use other aircraft. "The A350-900 features higher ceilings, larger windows, an extra-wide body delivering more space and comfort as well as lighting designed to reduce jetlag," the airline said in a statement. "Fitted with the new regional business class and economy class cabin products, the A350-900 medium-haul business class cabin has 40 seats in a '1-2-1' arrangement that ensures direct aisle access for every customer, while the economy class cabin has 263 seats arranged in a comfortable '3-3-3' configuration," it said. "Direct aisle access" allows the passenger to get up from the seat directly into the aisle, without having to clamber over any other passenger, according to the statement.